Today – Good Friday – was one of those perfect “Indian summer” days. Warm and sunny, calm, blue sky, golden light. Perfect? Perhaps too perfect. The season usually turns around Easter. 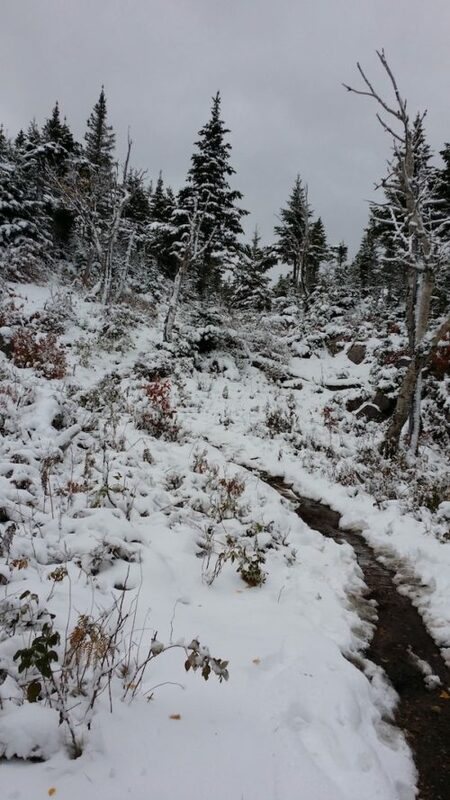 Autumn stops being late late-summer, becomes early winter. Colder weather arrives with the colouring leaves, the shorter days and longer nights. Mornings bring heavy dew, mist, the odd frost. Nights need doonas and the flannelette sheets. Autumn rains stimulate mushrooms and all the various tribes of fungi to spring into life. But not yet, and it’s the 19th April, a late Easter this year. It hasn’t rained properly for a coupe of months, and it’s so dry that some of the normally drought-proof plants in my garden – wormwood, geraniums, succulents – have died. There are no weeds. Some of the garden beds are actually dusty and water from the hose pools on top because the soil has become water repellent. Climate change? Hell, no. 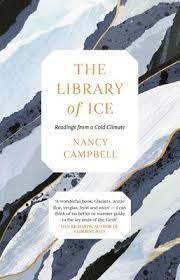 Anyway, a good time to read The Library of Ice: Readings from a Cold Climate, the result of a seven-year quest by British artist, printmaker, writer and poet Nancy Campbell. She explores the frozen world in Greenland, Iceland, Antarctica, observing, talking and listening to the people, researching in libraries and museums and the landscape. She looks for ice in science, history, literature, culture and art in places like the Scott Polar Research Institute, Cambridge, the Rijksmuseum, Amsterdam and the Ilulissat Kunstmueum, Greenland. She talks to curlers in Scotland, archeologists in Switzerland and the Tyrol, experts in 17th and 18th ice-house construction in the great country houses of England. She combines all this with memoir and reportage and nature writing in a dazzling and beautiful book. Being a creature of habit, when I’m at work I have lunch in the same cafe most days. It’s a small(ish) town – around 7,000 people, I believe – and so you get to know the people who serve you. Like the lovely Davina. She’ll occasionally lend me a book, and they’re often not the kind of book I normally read (which is a good thing as it expands my horizons). 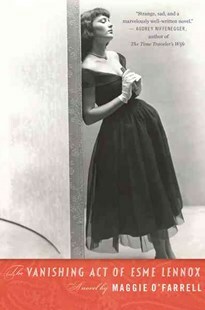 Recently she handed over a Martin Cruz Smith thriller set in Venice during WW2 and a rather insipid historical romance. But the wild card was an unexpected and unexpectedly riveting ripping yarn called Exploration Fawcett. The cover says it all. Intrepid explorer, geographer and cartographer Lieutenant-Colonel Percy Harrison Fawcett first set off in the early 1900s for South America. Before and after WWI, he worked and travelled in Peru, Bolivia and Brazil mapping and delineating borders, but he always wanted to mount his own expedition in search of a fabled ‘lost city’ in the jungles of Brazil. 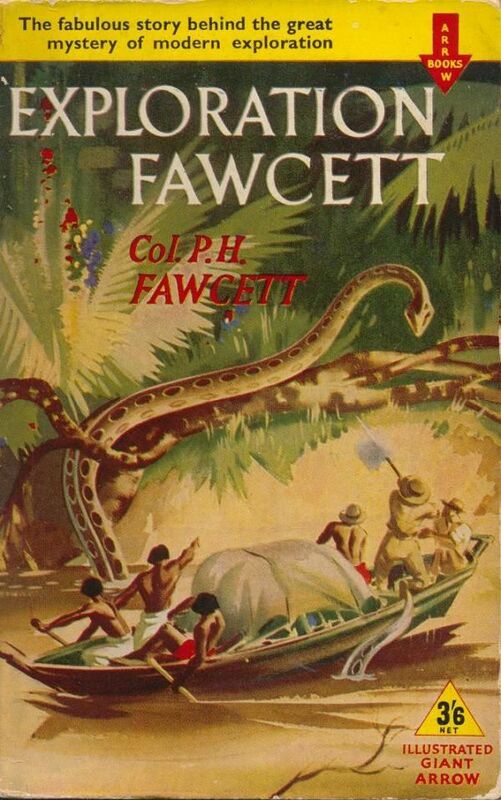 I could have hated this book, for with all of the imperial arrogance of his era, Fawcett never questioned the project of “exploration for exploitation” – be it minerals, timber, or rubber – in these vast but already inhabited territories. His idee fixe was that somewhere, hidden in the jungle, he would discover the remains of a lost civilization belonging to a superior, lighter- or even white-skinned race – the eugenicist theory fashionable in his day being that the more highly evolved peoples have paler skin. Yet for all this, he was unusual in being not only fascinated by but sympathetic to the indigenous peoples he met during his travels. He not only sought to communicate with them; he was patient, courteous and actually thought there was something he could learn from these so-called “savages”. A constant theme is his shock and disgust at the behaviour of Europeans – miners, rubber tappers, ranchers and settlers – and their brutal treatment of enslaved workers, the massacres of forest tribes, the wanton cruelty and destruction of culture, language, ways of life. Exploration Fawcett reads a bit like one of Michael Palin’s Ripping Yarns – Across the Andes by Frog. Percy Fawcett was a true obsessive – utterly mad actually – with demented stiff-upper-lip fortitude and courage that ignored heat and cold and illness and injury in his pursuit of his quest. When I put the book down to go to sleep at night my mind was a National Geographic extravaganza of swamps, jungles, mountain passes, deserts, lakes and rivers, with strangling vines and cacti and thorn bushes and giant trees, swarming with rattlers and enormous anacondas and a multitude of other snakes, as well as monkeys, panthers, parrots, condors, alligators, piranhas, not to mention ticks and ants and stinging insects galore. And indignant tribes, armed with bows and arrows against guns and disease. The book was edited, with a prologue and epilogue by his son, Brian Fawcett. Percy Fawcett died in the Matto Gross of Brazil in 1925 – or that’s what we must assume, for he simply disappeared into the jungle, along with his eldest son and another young man. The bodies were never found. I found myself thinking about his wife and remaining son and daughter. Percy died in his mid-fifties; he’d only ever spent ten years with his wife. He took their son – a young man in his early twenties – with him on the final fatal trip. And his son’s friend, too. The lot of the one left behind is ever the harder. Book group starts in ten days time – but the CAE was slow sending out the boxes – and I only picked this up on Thursday. I finished yesterday! This is an amazing feat, since all of last year I struggled to get through almost everything. And I didn’t read Bad Blood quickly for any other reason than that I was absolutely loving it. And – further boast here – I chose it, as well. This is the first non-fiction title I’ve read with my book group. 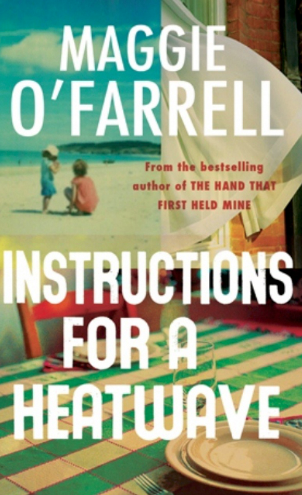 We usually read novels, and last year’s – all well reviewed, or shortlisted for major awards – were unremittingly grim. 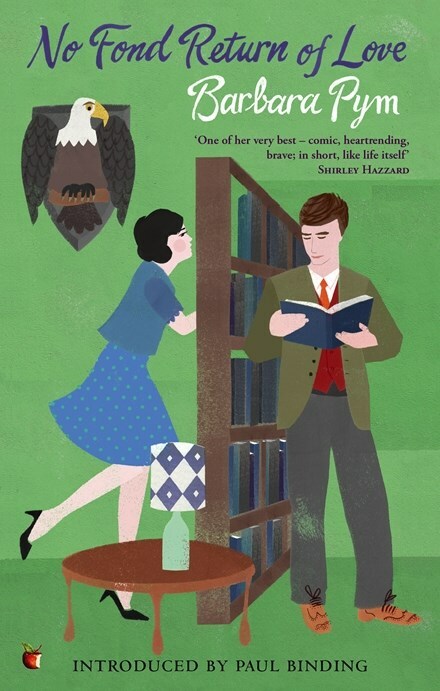 (Though I must add that one of the potentially grimmest of them all – The Woman Who Walked into Doors by Roddy Doyle – turned out to be a revelation, much enjoyed, and bizarrely funny at times). 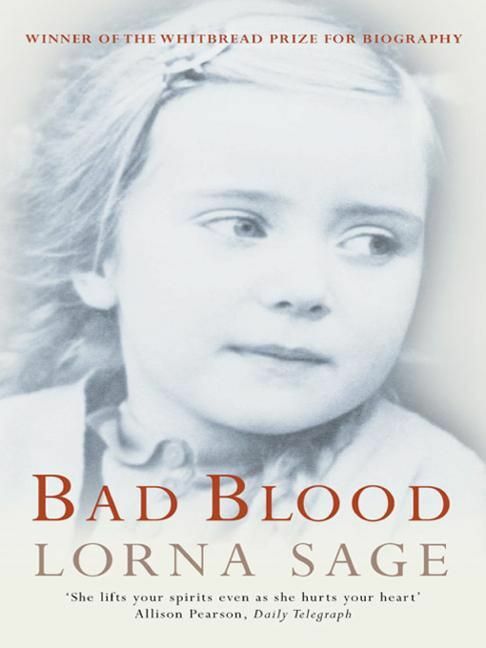 I chose Lorna Sage’s memoir not only because I felt like a change from fiction, but because it ticked so many boxes in my personal checklist. Post-war Britain (actually, Wales) in all its pinched, mean austerity: small village, with beautifully described farm and countryside and cast of characters: gloomy vicarage, philandering vicar: a family that is gothic in its madness and dysfunction and destructiveness: a young girl struggling against society and family and fate and school (with the exception of a few heroic, helpful female teachers) to be her real, clever self. And she succeeds. Yes, it’s non-fiction, but to me it reads like a novel. In the best possible way. Despite my anti-colonial and republican tendencies, I’m feeling quite English at present. It’s not just my obsession with the weather (it’s going to be 38 degrees here today, but a late cool change should see a drop of around 10 degrees during the night) but my reading. I’ve just finished six Barbara Pym novels in a row, and with each of them I’ve found myself trying on her heroine’s identities. Could I be Dulcie, from No Fond Return of Love? She’s a tall, not-bad-looking but unfashionably dressed suburban spinster in her early 30s; a professional indexer, with a sharp and observant eye and an insatiable curiosity for her fellow beings; after a broken engagement, she’s indulging in a bit of mild stalking of an alluring (but married) professor. Or Catherine, from Less Than Angels, a small, thin, rather bohemian Londoner, who thinks of herself ‘with a certain amount of complacency, as looking like Jane Eyre or a Victorian child whose head has been cropped because of scarlet fever’; a sharp and witty writer of short stories and articles for women’s magazines, whose anthropologist lover has deserted her for a younger and more adoring woman. Or, from A Glass of Blessings, the beautiful and elegant Wilmet, a spoiled and under-occupied young woman whose idle hours are beguiled by involvement in the local church and the project of reforming the elusive, attractive ne’er-do-well brother of her oldest friend? If I had married Maurice, she thought doubtfully, I might have had a child, but the picture of herself as a mother did not become real. It was Maurice who had been the child. Theirs would have been one of those rather dreadful marriages, with the wife a little older and a little taller and a great deal more intelligent than the husband. And yet, although she was laughing, there was a small ache in her heart as she remembered him. Perhaps it is sadder to have loved someone ‘unworthy’, and the end of it is the death of such a very little thing, like a child’s coffin, she thought confusedly. Barbara Pym is a sort of writerly heroine to me; it’s because, though the years between 1963 and 1977, when no-one wanted to publish her books (“too old fashioned”), she just kept plugging away. It was only when influential admirers Lord David Cecil and Phillip Larkin championed her work in the late 1970s that her fortunes revived. Her novels from the 50s and early 60s were reprinted, also her ‘rejected’ novels and even some early works. She also began publishing again. The late novels – one of which was nominated for the Booker – lack the sparkle of the earlier ones; they’re sadder and wiser and perhaps more profound. But I confess that I do love the sparkle. They’re among my favourite books for comfort reading. They were hard to find in the early 2000s, and my copies, 1970s reprints bought second-hand, are falling apart now – however, a quick look on Booktopia shows that everything is back in print again, with enticing new jackets. Another revival. These past days have been so hot that I’ve been spending most of my time – when not actually at work – sitting close to the air conditioner and reading. 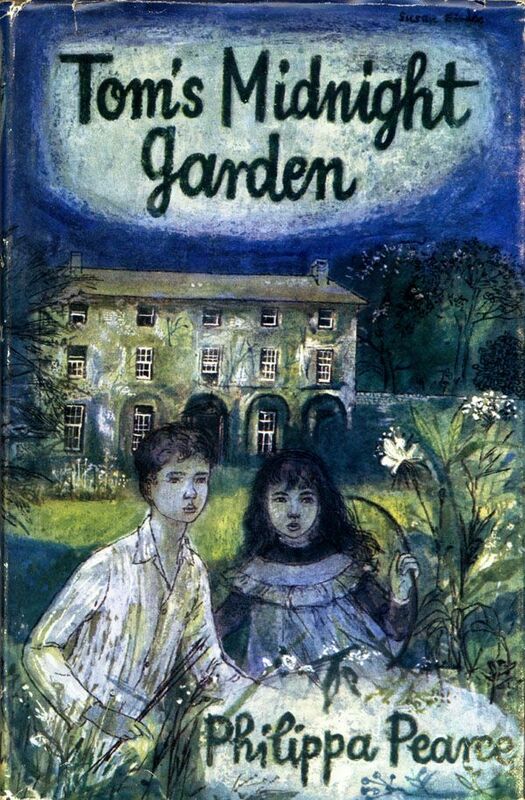 In an attempt to cheer myself up and change the weather, at least internally, I re-read three of my favourite English children’s books, each of them magical and beloved and beautiful – The Midnight Folk, Tom’s Midnight Garden and The Children of Green Knowe. An exercise in nostalgia, yes – but how wonderful to be transported to the snowy winters and cool summers of English children’s literature when it’s 45 degrees outside and 35 in the front of the house. My first encounter with Tom’s Midnight Garden was as a BBC radio serial. This is another cooling thought; the ABC played these children’s serials early on a Sunday morning and Dad used to bring the transistor radio in to me so that I could listen to it in bed. Then, as often as not, we’d go for a walk together on the beach which was just through our back gate. My memory paints a Port Phillip Bay that was always calm and flat, with sandbanks exposed, a few early boats out on the water, a few early walkers like us. When we got home, Dad made what he called ‘baconized egg’ (scrambled eggs with chopped, fried bacon bits) for the two of us; the rest of the family missed out, this treat was only for early risers. Tom’s Midnight Garden is one of the celebrated treasures of children’s literature – still in print – there’s a gorgeous Folio Society edition – and I’ve just seen the new graphic novel. The writing is so beautiful and perfect and intelligent and sensitive – the ‘time-shift’ is so well handled – here, I’d better just quote! This is the section where Tom has found himself in the hall of the old house where his aunt and uncle’s flat is. It’s mysteriously gone back in time, to a room filled with stuffed animals, umbrella stands, paintings, rugs, fishing rods, peacock feathers, chairs and other furniture. …Tom became aware of something going on furtively and silently about him. He looked around sharply, and caught the hall in the act of emptying itself of furniture and rugs and pictures. They were not positively going, perhaps, but rather failing to be there. The Gothic barometer, for instance, was there, before he turned to look at the red fox: when he turned back, the barometer was still there, but it had the appearance of something 0nly sketched against the wall, and the wall was visible through it; meanwhile the fox had slunk into nothingness, and all the other creatures were going with him; and turning back again swiftly to the barometer, Tom found that gone already. And here’s Tom’s first experience of the garden. There is a time, between night and day, when landscapes sleep. Only the earliest riser sees that hour; or the all-night traveller, letting up the blind of his railway carriage window, will look out on a rushing landscape of stillness, in which the trees and bushes and plants stand immobile and breathless in sleep – wrapped in sleep, as the traveller himself wrapped his body in his great-coat or his rug the night before. This grey, still hour before morning was the time in which Tom walked into his garden. He had come down the stairs and along the hall to the garden door at midnight: but when he opened that door and stepped out into the garden, the time was much later. All night – moonlit or swathed in darkness – the garden had stayed awake; now, after that night-long vigil, it had dozed off. The green of the garden was greyed over with dew; indeed, all its colours were gone until the touch of sunrise. The air was still, and the tree-shapes crouched down upon themselves. One bird spoke; and there was a movement when an awkward parcel of feathers dislodged itself from the tall fir-tree at the corner of the lawn, seemed for a second to fall and then at once was swept up and along, outspread, on a wind that never blew, to another farther tree: an owl. It wore the ruffled, dazed appearance of one who has been up all night. This is gorgeous, gorgeous writing; mysterious, poignant, subtle…I could go on. 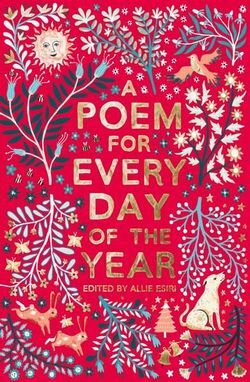 And I wonder – which wondering isn’t to bag current children’s writers, editors and publishers, because I have been part of the industry – whether the book would find a taker in today’s market. It’s slow. There is a lot of description. It’s a thoughtful rather than an action-packed book. Time and memory and loss and change – the big themes of the book – are perhaps not what we’d think of as child-like concerns. The ‘climax’ – if you could call it that – is moving, but muted. I think back to the writing of my three recent children’s books, all of which were set in the 1870s, and my wonderful editor’s reminders to always think of my (child) audience and not to get bogged down, to keep things moving, to watch my language. Long, difficult, challenging, archaic or even just old-fashioned words and phrases were all carefully considered and examined. Sometimes they could stay – but often there had to be a substitution or a re-formulation or an explanation. I’m not saying this was wrong, for it added to the readability of the novels, and very rarely did it seem worthwhile to dig my heels in. I wonder, did I struggle with ‘difficult’ language as a child reader? If I did, I don’t remember it. I seem to have been able to have worked things out from context, or skipped over what I didn’t understand. After all, as a child, there’s so much in the adult word that you don’t understand, anyway. Are today’s child readers different to those of my generation? Yes and no, is probably the answer. So much (technology is the obvious thing) has changed, but perhaps some things – like curiosity and a sense of wonder – will never alter. I hope not. Or perhaps by the time I am 95, like my beloved neighbour Margaret, I will probably be thinking, like her, that I just don’t recognise this world any more. Where do writers learn their best moves? They learn them from a technique I call X-ray reading. They read for information or vicarious experience or pleasure, as we all do. But in their reading, they see something more. It’s as if they had a third eye or a pair of X-ray glasses like the ones advertised years ago in comic books. This special vision allows them to see beneath the surface of the text. There they observe the machinery of making meaning, invisible to the rest of us. 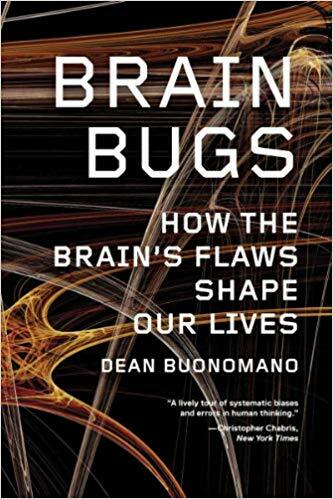 Through a form of reverse engineering, a good phrase used by scholar Steven Pinker, they see the moving parts, the strategies that create the effects we experience from the page – effects such as clarity, suspense, humor, epiphany and pain. These working parts are then stored in the writers toolshed with names such as grammar, syntax, punctuation, spelling, semantics, etymology, poetics and that big box – rhetoric. Many years ago, when I regularly taught creative writing in community settings, I used to tell my students that the most important thing to do, if you wanted to write, was to read. All the time. Widely. Fiction, non-fiction, old, new, literature, genre, popular, for adults and teenagers and children. Perhaps I talked vaguely about how it was through reading that I began writing. I would have told them that reading was the way I learned about the shape of sentences and paragraphs, and how to create characters and scenes, and when was the best time for a surprise, an argument, a chase or a nice cup of tea. I learned what kind of books and writing I enjoyed, and worked out how to write that kind of book for myself. I always included excerpts from books to read and critique, but I really didn’t know how to show them, systematically, how to decode a piece of prose in a useful, instructive way. Nevertheless, some got it – and I think that they would have, anyway, without me. But some didn’t at all. I wish I’d had this book to recommend, because it’s terrific. 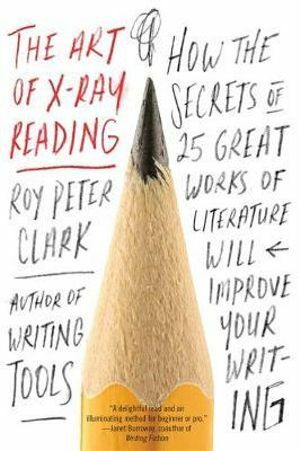 Texts spanning millennia – from Homer’s Iliad through to Donna Tartt’s The Goldfinch – are not only lovingly investigated, but the obliging Clark also ends each chapter with a helpful list of ‘writing lessons’. And I loved the appendix, “Great Sentences from Famous Authors”. Apparently in 2014 the editors of The American Scholar selected “ten best sentences” from literature. I have no idea how you could choose ten, but it made me think about choosing a few “best sentences” from my current reading. Dack’s Auto Court was on the edge of the city, in a rather rundown suburb named Ocean View. The twelve or fifteen cottages of the court lay on the flat top of a bluff, below the highway and above the sea. They were made of concrete block and painted an unnatural green. Three or four cars, none of them recent models, were parked on the muddy gravel. The rain had let up and fresh yellow light slanted in from a hole in the west, as if to provide a special revelation of the ugliness of Dack’s Auto Court. Above the hutch marked ‘Office’ a single ragged palm tree leaned against the light. I parked beside it and went in. A hand-painted card taped to the counter instructed me to ‘Ring for Proprietor’. I punched the hand-bell beside it. It didn’t work. The excerpt is from The Far Side of the Dollar by Ross MacDonald (Allison & Busby, London, 1988) and the narrator is the weary, cynical California private investigator Lew Archer. My X-Ray specs are still L-plated, but what I notice are the first couple of flat, matter of fact, factual sentences locating the auto court. We’ve got the natural elements of the scene, the bluff and the sea in competition with the built environment of highway, city, suburb. Archer’s jaundiced view of the place begins to come out in the details chosen for us when he describes the building and its surrounds – the concrete blocks are an ‘unnatural’ green (and yet green is the most natural colour one can think of); the cars are old; the gravel is muddy. A ray of light comes from the clouds, but there are no angel voices, no saints, no visions; instead, a ‘special revelation of ugliness’ comes from above. I laughed out loud at that. There’s only one palm tree, and it’s leaning and ragged; the hand-lettered notice is unprofessional and shabby. And to top it all off, the bell doesn’t work! Dack’s Auto Court is cheap, ugly, unloved – and, since this is a crime novel, the perfect setting for failure, despair and murder. Hot weather goes on. Attention span slides. Summer reading continues. 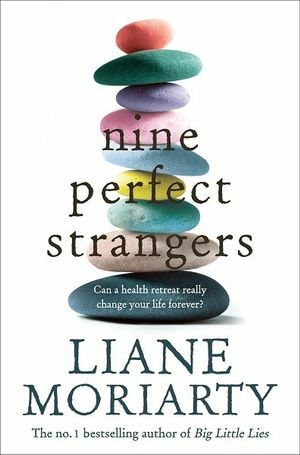 A delightfully slack day in front of the air conditioner, and I’m nearly finished Liane Moriarty’s latest, Nine Perfect Strangers. Once again I marvel at the clever way she creates a suspenseful, must-know-what-happened bestseller. Nine strangers find themselves together in the Australian country at Tranquillum House for a 10-day well-being retreat. The different characters are introduced, their problems and issues artfully revealed, the tension builds – I have a feeling the whole thing is about to go off like firecrackers. Really, this is perfect popular fiction (and that’s not a disguised insult) because it’s not mindless forgettable fluff. Within her page-turner she introduces themes that are contemporary, dark and difficult, she makes you think, and all with a light touch. 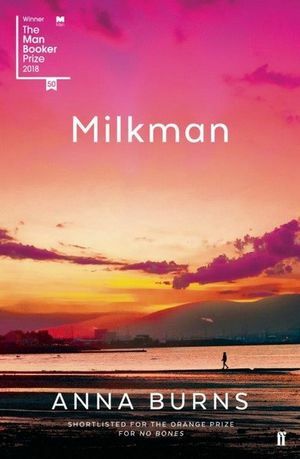 I am chipping away, on and off, at last year’s Booker Prize winner, Milkman. When I say ‘chipping away’, this is not because it’s tedious or difficult. Or even too depressing (my problem with many of the 2018 book group titles) even though the heroine is trapped and seemingly powerless in a paranoid, dangerous and claustrophobic Belfast during the sectarian and political violence of the 1970s. No, it’s more because the language. Or do I mean the style? It’s the voice. (It’s so often the voice!) The interior monologue of the unnamed narrator is dense, thick, full, unstopping, unstoppable, absurd, unpredictable, tragic, hilarious and sometimes just really, really weird. ‘Batty’, was the word one reviewer used. For me, at any rate, this kind of writing takes time. Also – and believe me, this is significant for the amount of time it takes to read a novel – there are no paragraphs, no line breaks, no indents for dialogue. A bit like G W Sebald. Lots of words and nowhere to hide. “You ask peculiar questions, daughter,’ ma replied. ‘Not as peculiar as those posed by wee sisters,’ I said, ‘and you answer them as if they were normal questions,’ meaning their latest at breakfast. ‘Mammy,’ they’d said, ‘mought it happen that if you were a female and excessively sporty and this thing called menstruation stopped inside you because you were excessively sporty’ – wee sisters had recently discovered menstruation in a book, not yet through personal experience – ‘then you stopped being excessively sporty and your menstruation returned, would that mean you’d have an extra time of menstruation to make up for the gap of not having had it when you should have had it only you couldn’t because your sportiness was blocking the production of your follicle-stimulating hormone, also blocking your luteininising hormone from instructing your oestrogen to stimulate the uterine…. And it goes on. I was laughing out loud at their imagined eldritch little voices. And then, a few pages later, moved at the narrator’s reflections on her dead father’s depression. And a few pages before, astonished at the scene in the evening French class, experienced by the students as threateningly subversive, where the teacher points out to her class that the sky is not blue.